Charles will freely admit to anyone that his life is completely dominated by silhouettes! Obsessed with drawing from an early age, Charles is now widely regarded as the finest silhouette cutter practicing in the country today. He is constantly searching for new ideas and new applications for his art. Charles was featured in the BBC2 series “Tales of Tools” (in the episode about scissors! 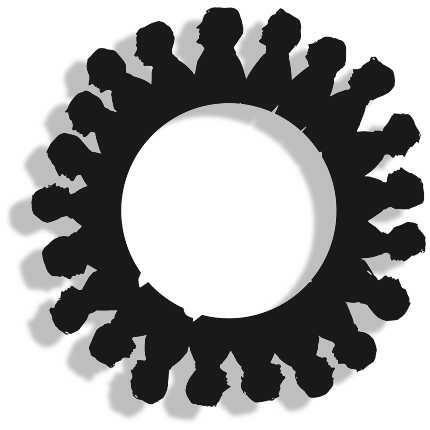 ), and in the course of his travels has been fortunate to meet and cut silhouettes of many of the notable figures of our times including (among others) The Queen and President Clinton. Today he has a busy schedule bringing his art to an extraordinary variety of events all over the UK and abroad. 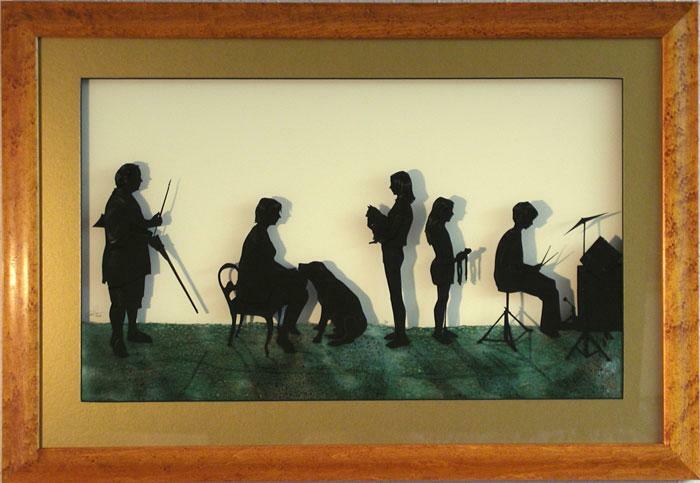 Charles has recently begun a new silhouette journey developing the historic craft of ‘hollow cutting’ whereby the artist cuts the silhouette inside-out from a piece of white paper. This means that the paper one would normally consider the ‘off-cut’ is actually the finished artwork. This is mounted over black to create the finished artwork. Charles is quite possibly the first artist to use this technique on a regular basis for 150 years! 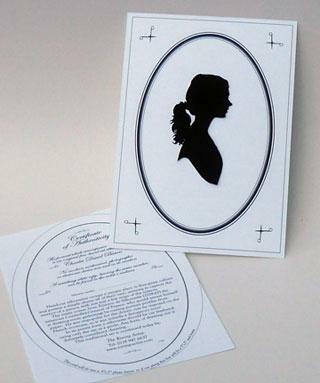 Charles now also offers silhouette cutting workshops for events. 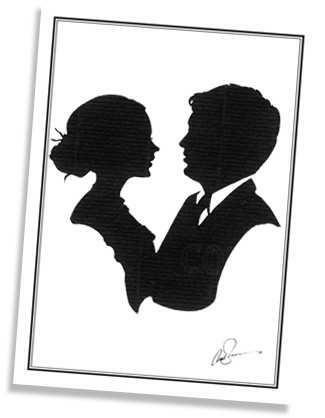 His silhouettes are also widely used for illustration, and are currently featured in Contact magazine.. I wanted to thank you so much for your wonderful work last night at the golden Jubilee Rout. As I am sure you know the evening was a wonderful success and fun was had by all who attended. Most importantly The Queen enjoyed herself immensely which was proved by her not leaving until after midnight. Thank you for a quite spectacular entertainment. It was fascinating to see you at work and even more to recieve a momento of the day. Everyone was delighted with their silhouettes. 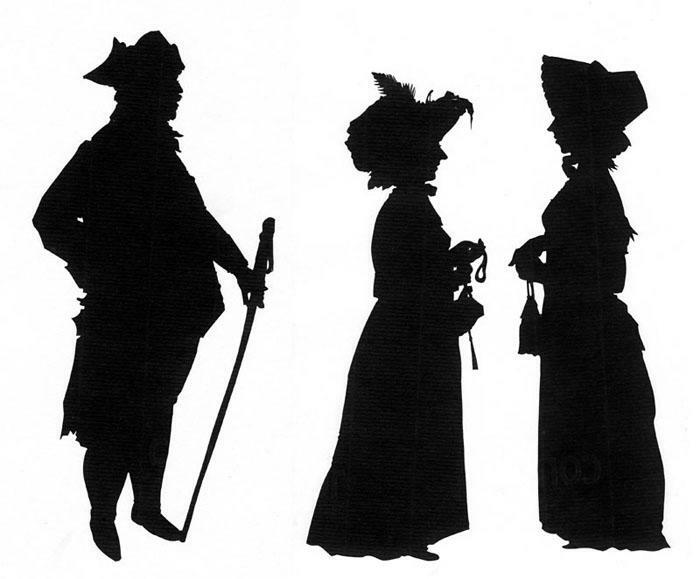 Charles’ silhouettes made perfect portraits of those present which they will keep forever. Thank you so much for entertaining everyone so well on Tuesday evening. 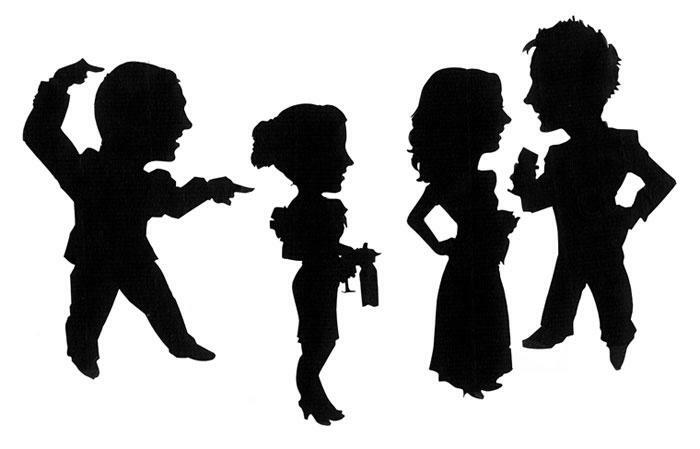 Prince Michael in particular was delighted with his silhouette and made a point of taking it home with him. Everyone thought you were brilliant and it was lovely to go home with such happy souvenirs.